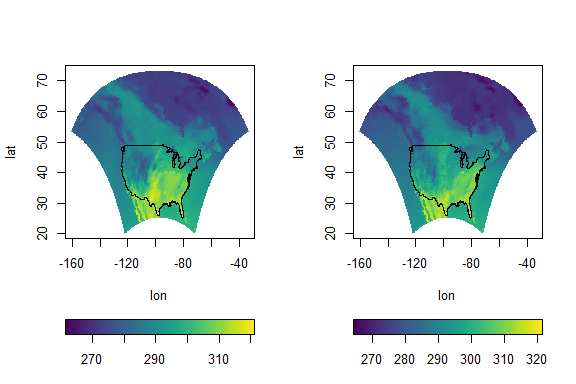 Functions for displaying multiple images with a color scale, i.e., heat maps, possibly with projected coordinates. The package relies on the base graphics system, so graphics are rendered rapidly. The goal of the autoimage package is to easily plot a sequence of images with corresponding color scales, i.e., a sequence of heatmaps, with straightforward, native options for projection of geographical coordinates. The package makes it simple to add lines, points, and other graphics features to these image plots, even when the coordinates are projected. 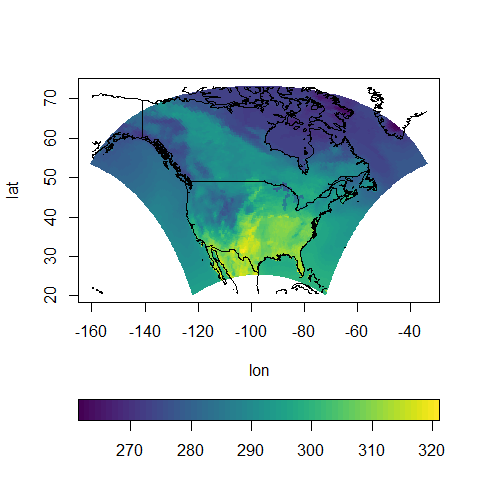 The package allows for seamless creation of heat maps for data on regular or irregular grids, as well as that is not on a grid. The release version of autoimage can be installed in R using the command install.packages("autoimage"). The most important functions in autoimage are the pimage and autoimage functions. pimage creates a heat map with a color scale for data on a regular or irregular grid, and even non-gridded data (by automatically interpolating onto a grid). The autoimage function generalizes the pimage function to allow for multiple images in the same plot. 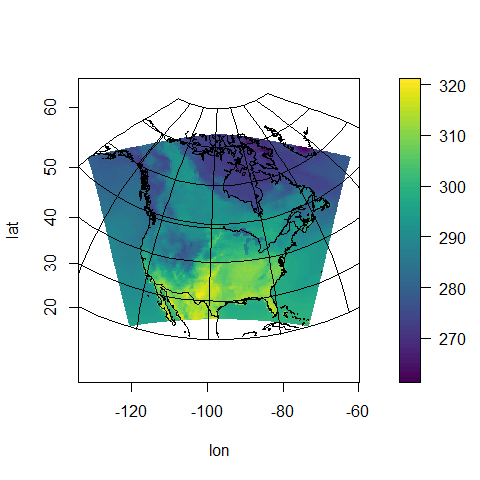 The autoimage package makes it easy to add lines and points to the images plots, with several common world maps being provided automatically through the maps package. We illustrate some basic usage of the pimage function. We begin by creating image plots for data on an irregular grid while also including national boundaries and a legend. The coordinates are projected in the second plot by specifying the desired projection via the proj argument and the relevant projection parameters via the parameters arguments. We next display an image for data that is not on a grid. 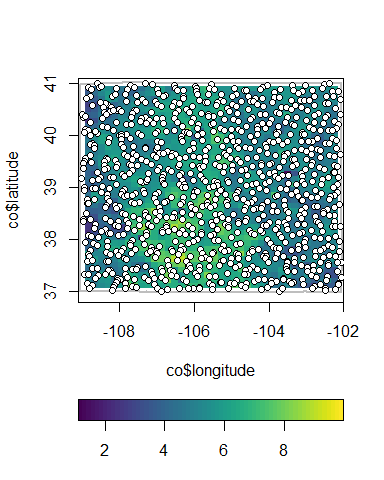 Specifically, we create image plots for Colorado geochemical measurements. We also include the Colorado border in the image and the locations of the observed coordinates. Note that the lines.args and points.args arguments are used to customize the appearance of the lines and points. The autoimage function generalizes the pimage function to allow for a sequence of images in a single graphic. We display two images, first with a common legend, then with individual legends for each image. 1.0 - Add pimage function to create individual projected images. by pimage. Update autoimage to rely on pimage and autolegend. function to make plot similar to autoimage using ggplot2. of importation of akima package. reasons. User must install akima manually. to adapt to number of images being plotted. 2.0 - Use MBA::mba.surf for grid interpolation instead of akima::interp because of rescrictive licensing. Update behavior of lratio to adapt based on the number of images being plotted. Add inarccap data.